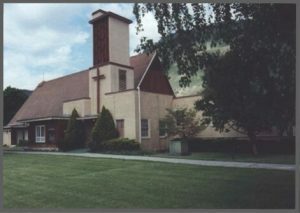 The Ellisforde Church of the Brethren stems from the congregation established in Loomis in 1916, but Brethren had been moving into the Okanogan Highlands beginning about 1902. 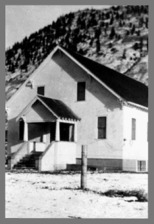 The Meyers Creek Church was organized in 1903 in the Kipling area, but as the climate changed and the Highlands became difficult to farm, folks moved to the valleys to be near the irrigation systems that were being constructed. two groups. One met at the Enterprise School and became the existing Whitestone Community Church of the Brethren and the other underwent a name change to the Okanogan Valley Church of the Brethren and met in various groups and places between Tonasket and Oroville. One such place was in the Ellisforde school building which still exists across the railroad from the present church. The main body located between Ellisforde and Oroville for a time at the present site of the Mountain View Cemetery on O’Neil Road and a house of worship was built there. However, partly due to tensions between strong personalities, by 1928 another building was started at the current Ellisforde location. This became the official home of the congregation and it was finished by about 1936 (first photo). An expansion of that building was underway when it burned to the ground in January of 1949. The present building was then constructed in stages and completed in 1959 (second picture). An on-going project over the decades has been the construction and maintenance of the largest pipe organ north of Wenatchee. Our church burned to the ground in the disastrous fire of January 13, 1949. 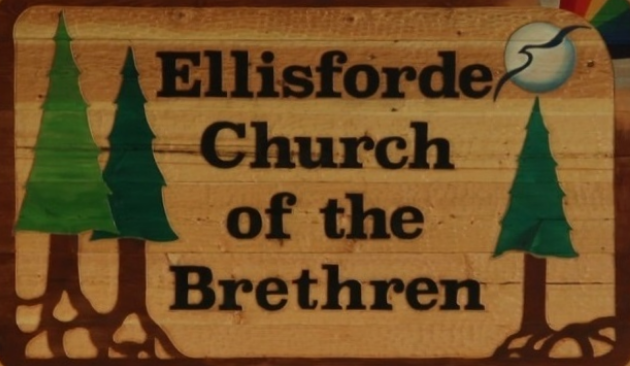 Deciding that an Ellisforde church was necessary, the church members and friends of the community made plans whereby we could rebuild the loss done by the fire. rooms, kitchen, heating plant and a large multipurpose room that would serve as a temporary sanctuary. The first part of the building plan was completed in 1950 with the present structure nearly paid for as it was finished. The second part of the church plan was to build a sanctuary at a later date when the people felt able to continue the building program to its planned completion. It is the mind of the people of the church that the proper time has arrived for completing the church structure by adding the sanctuary. Accordingly, a Building Fund Committee was elected and charged with the responsibility to make plans for securing funds for this project.